Give you more ways to grow your skills! 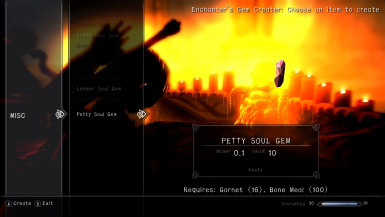 I added "enchanter's soul gem creater".Check description. Now magic cauldrons grow your skill correctly. Soul trap bonus is applied to all playable races. Added more soul trap bonus of other races. 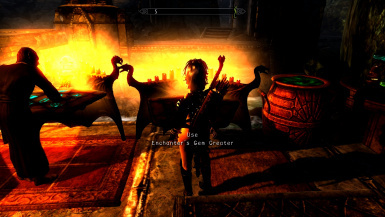 If you acted update from Skyrim ver 1.8 to 1.9,please install this mod again. Some scripts will be overwritten when you update. 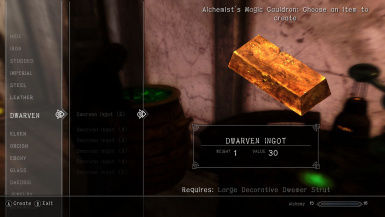 Haven't you think that making ingots should grow smithing skill ? This mod gives you more chance to grow your skill! Using tanning rack Mining ore grows your Smithing skill! And if you mine gems,more grows! 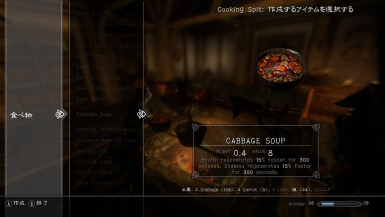 Cooking foods grows your Alchemy skill! Chopping woods grows your One-Handed skill! Trapping soul grows your Enchanting and Conjuration skill! And the amount of growing skill depends on target's type! ex) If you trap human's soul,the skills grows much than animals and skeletons. Besides,you learn some features from trapped souls. So you can get some extra bonus depending on enemy's race! These status bonuses are not effects,just modify your status. So they last permanently,and the more increase your status the more you kill enemies of the race. Of course their souls grow your skill more than tiny human's! 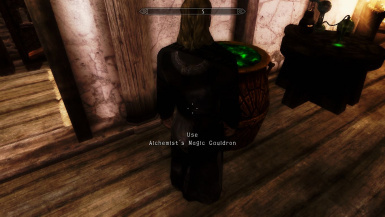 You can make weapons,armors,and ingots in this cauldron,by your alchemy skill! You can make soul gems by your enchanting skill! 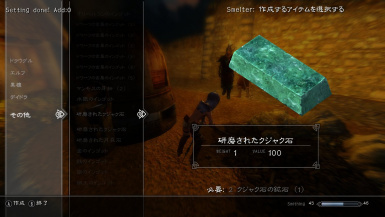 And you often get "Black soul gem fragment" when you mine ore.
You can make a black soul gem from 10 fragments. Same as cauldron,I set it at some locations.check txt file in this mod. In addition, there are some optional files,check them! If you have any bugs about this mod,please report it in forum. 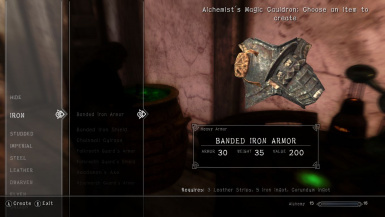 This mod gives more meaning to your life in Skyrim!